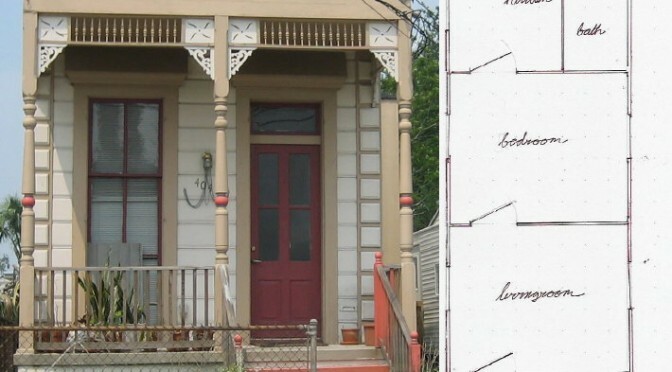 It’s one of the oldest home forms in the United States of America, but for most Houstonians, the shotgun house (or some may say rowhouses) has earned a negative connotation. After decades of neglect, many shotgun homes have fallen into disrepair, and some are being rapidly bulldozed to make way for new contemporary development. Rice Gallery’s newest installation, SHOTGUN, offers a view into how density and civic space have been addressed in the past with shotgun-style houses, and how architects are breaking down and reassembling these ideas with an eye to the future. The installation is the culmination of a course taught at Rice’s architecture program by faculty member Jesús Vassallo and visiting architects Yoshiharu Tsukamoto and Momoyo Kaijima, principals of the internationally celebrated architecture studio Atelier Bow-Wow in Tokyo, whose work is centered on dense, urban environments. Five shotgun structures, framed with local yellow pine, merge to form a star. Visitors enter and find in each wing a different, engrossing exploration into row houses. Vernacular, compact, urban design, much like row house construction, is at the heart of Atelier Bow-Wow’s work. They have made a practice of studying and celebrating overlooked urban spaces that have been built between other buildings, sometimes with creative and impromptu solutions to light, drainage, storage, and access. For their small, endearing size and quirky nature, they have named these spaces Pet Architecture, evident throughout Tokyo as well as in Bow-Wow’s machiya designs. Also of note both in row house design and in Atelier Bow-Wow’s theories of behaviorology, micro public space, and void metabolism is shared space. As row houses were built side-by-side on extremely small plots of land, there was little open space other than the shared yard in the back. This space was eventually shared by all the row houses on the block and became by default a shared community space — a place for neighbors to talk, play, eat, and be together. The Rice exhibit is not the first group to see tremendous potential in these versatile spaces. Now in its 22nd year, Project Row Houses presents innovative artistic and educational programming in the city’s Third Ward community. Located in a string of shotgun homes, Project Row Houses has redefined how these spaces are used for and in their surroundings. With their small urban footprint, and ability to be built on virtually any lot size, it’s no surprise that these homes are seeing renewed interest as more and more Millennials seek out new, inventive living spaces. Though oddly enough, the shotgun home space if utilized properly, could become something of a middle ground between the budding tiny house movement and current trends of multi-story townhome developments. Though not on the radar yet for most realtors, many predict the the current wave of interest in shotgun houses will only continue to grow. 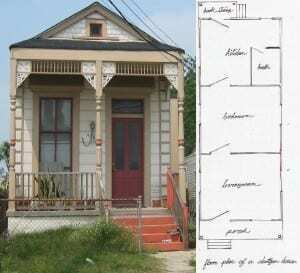 Would you ever consider living in a shotgun house? Leave your answer in the comments. 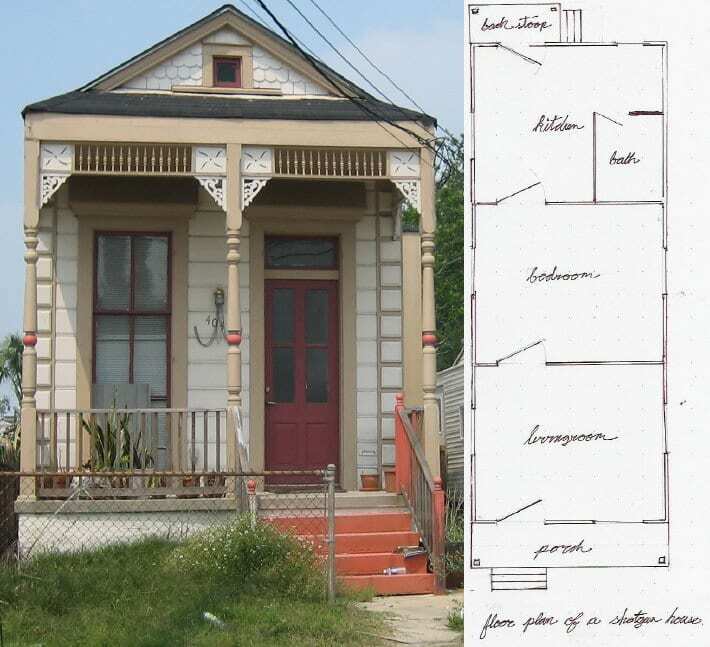 A shotgun house with attached floor plan. This is one of the original forms, with only the bathroom added for a modern upgrade. Yes, untill i see how bloated the price of a row house is. There needs to be a financial incentive to promote this movement.